If you are looking for my Mojo Monday post, please scroll down. Thanks! Hello! Welcome to the Taylored Expressions January Sneak Peek Day! 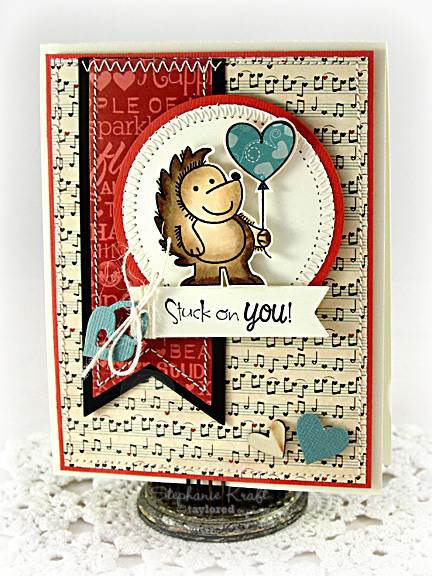 This is our Valentine release, and I know you are going to love all of the new stamps and dies! We will be having a Preview Party tonight at 6:00 PM PST. This will be your chance to see the sets and some great giveaways. The party is always fun and fast-paced! Be sure to join along HERE! I have two cards to show you today. The first one uses Oh What a Holiday (a follow up to Oh What a Day). It is full of sweet, whimsical images that can be used all year long! I used the heart tree image. 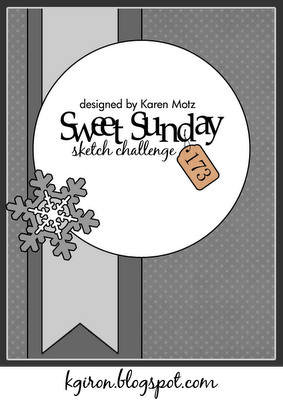 I stamped and colored the tree, then I used the Labels Stacklets 2 Dies to cut out my image and frame. I used a sentiment from new set Stuck on You (see more below) which I cut out using one of the Designer Mini Tags (I am super excited about this set as I love adding tags to my cards!). 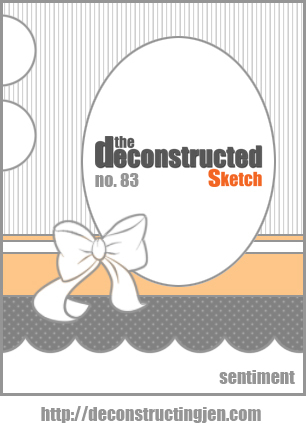 I used Jen's Deconstructed Sketch #83 for my layout. My next card uses Stuck on You. I have to say that this is my favorite stamp set being released this month! When I showed this to Dan, he was really excited about it (and my hubby is never "excited" about any stamps). We both like hedgehogs as we got a stuffed animal hedgie back when we were dating (I know, we're a little strange) that we named Booga (that's how my email address and SCS name came to be). Dan pointed this one out to me and said he was the best, so I knew I had to use this little guy to make a birthday card for him (his birthday was yesterday). I stamped and colored "Booga", then I pieced his heart balloon. Next, I fussy cut him out and popped him on top of my layout with foam tape. Another die set that is being released this month is Banner Stacklets 1 (LOVE this, too). I stamped my sentiment on the smallest banner stacklet. I also added a couple of elements made with the new Key to My Heart and Cupid's Arrow Dies. I used Karen's Sweet Sunday Sketch #173 for my layout. You might have noticed my color scheme is the same on both cards. I used the Valentine Project Pantry, which features patterned paper from the Bo Bunny Love Letters collection, coordinating cardstock and ribbon. Thanks so much for stopping by! I'll be back tomorrow for release day! Accessories: Taylored Dies: Designer Mini Tags, Medium Scallop Border, Label Stacklets 2; Ribbon from Valentine Project Pantry Kit (Taylored Expressions); 1” circle punch (EK Success), Markers (Copic), Ivory twine (May Arts), Foam tape, Thread, Sewing machine. Accessories: Taylored Dies: Banner Stacklets 1, Cupid’s Arrows Dies, Key to My Heart Dies (Taylored Expressions); Standard Circle Nestabilities – SM, LG (Spellbinders); Markers (Copic), Wood veneer heart (Studio Calico), Ivory twine (May Arts), Foam tape, Thread, Sewing machine. Both cards are great but loving that hedgehog! ADORABLE!!! Love your Booga card the most .... it's just perfect. 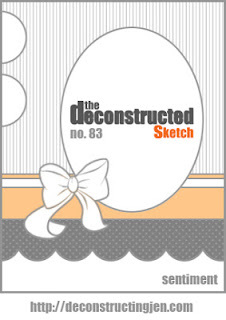 The DP on the background, w/ the little music notes, is so cute!! Oh my gosh, these are so cute. That hedgehog card is adorable. do you use a regular sewing machine for your stitching? what are some good alternatives to sewing machines (i.e. cheaper) for stitching (besides hand)? I have struggled with this for a while - i don't really need a full blown sewing machine... Thanks! Love your cards, Stephanie! 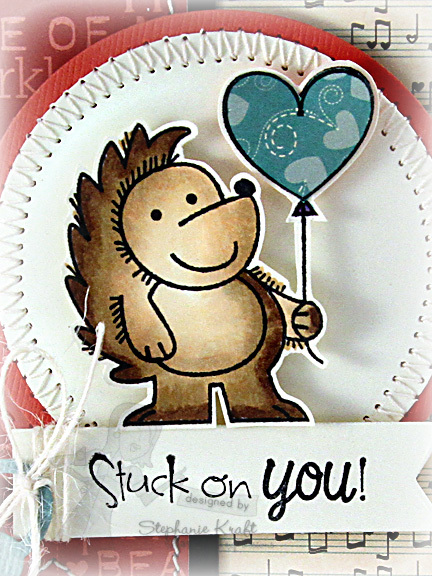 The hedgie card is adorable and I love his paper pieced balloon. Love all the stitching too...perfection! Hugs! Oh my - both of your cards are SO SWEET! Love the way you colored that hedgie! And you really showed off that Project Pantry!! These are gorgeous Stephanie! I love the papers you put together on the first one, that tree is so so cute! And I love your little hedgehog! So fun! Stephanie, these are perfection!!! That hedgehog is toooo cute!!! Love it!! Wonderful, wonderful cards! I adore that hedgie!! Awww, these are both soo Adorable Stephanie!!! But I am with you and really Loving the hedgies too!! Think they are my favorites as well, lol They are just too CUTE!! So Sweet that you and your Hubby share some hedgie Love!! Wonderful creations Lady!! Love the twine and tag in the first card, Stephanie, but the "Booga" card...ADORABLE! Cute cards Stephanie! Love the tree full of hearts and the cute woodland creature! girl!!! these are gorgeous! I love that first card - how gorgeous is that tree and the papers and everything !! and the second one is such a sweet card - I am absolutely Stuck on it!!!! I just love the hedgies too! These are both ADORABLE, Stephanie! Awesome layouts and coloring! THese are so, so sweet, Stephanie! All of your projects for this release are FABULOUS!